Gold drugs are still amongst the most efficacious for the treatment of rheumatoid arthritis. Their mechanism of action, as well as the molecular basis of their side-effects, remain poorly understood. Current theories are reviewed, including recent potential breakthroughs. 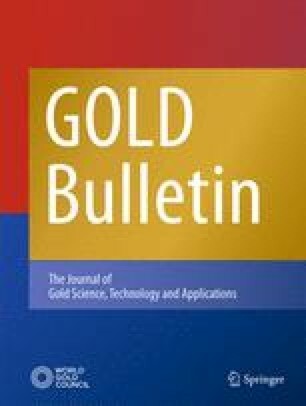 The interaction of gold(III) with peptides and proteins and its immunochemical implications are discussed. Sabine Best has recently completed her PhD at Birkbeck College, University of London on the biological chemistry of gold, and is currently a research fellow in the School of Biological Sciences at Queen Mary and Westfield College, London. Peter Sadler has just taken up the Crum Brown Chair of Chemistry at the University of Edinburgh after 23 years at Birkbeck College. His major research interests lie in the chemistry of metals in medicine.